Random House announces a Halloween Treat! 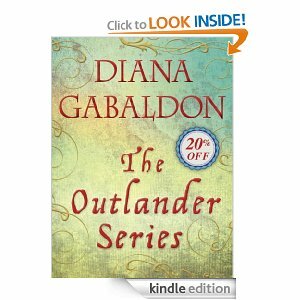 They’re offering all seven of the extant OUTLANDER novels AS E-BOOKS, in a 7-book bundle for $49.99. Which is pretty good, I think. do you know if blanvalet get this in planning for German too? I even read english, but my mother did not speak english. When itś planed I think itś good to wait. I don’t think that Blanvalet has done the 7-book bundle, no–but a quick check of Amazon.de shows that several of the books _are_ available on Kindle. Before I ask you I already check Amazon. Think is a typical german think called “Buchpreisbindung” ( Book Prize Bond)..hope it`s correct english. We get your books step by step an enyoy it ! Hermann Hesse said: people who read much are the death of good literature. But I learn books and fantasy are the best you could get………. Hello, Neat post. There’s an issue with your site in internet explorer, could check this? IE still is the market chief and a good part of other people will pass over your excellent writing due to this problem. What _is_ the problem with IE? How can I view these pages without the turquoise screen? I have trouble with my eyes. It’s really hard to keep up with all the important details. I believe that’s a problem with iPad screens–but I’m asking my web designer to look into it; we may need to change the color scheme of the site. Thanks to all the folks who have mentioned the problem!